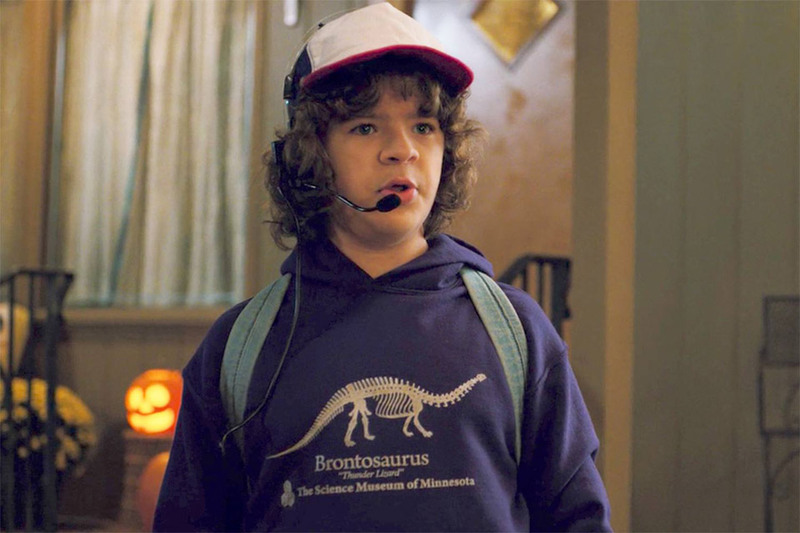 In Stranger Things season 2, Dustin can be seen wearing a Brontosaurus “Thunder Lizard” Hoodie from the Science Museum of Minnesota. 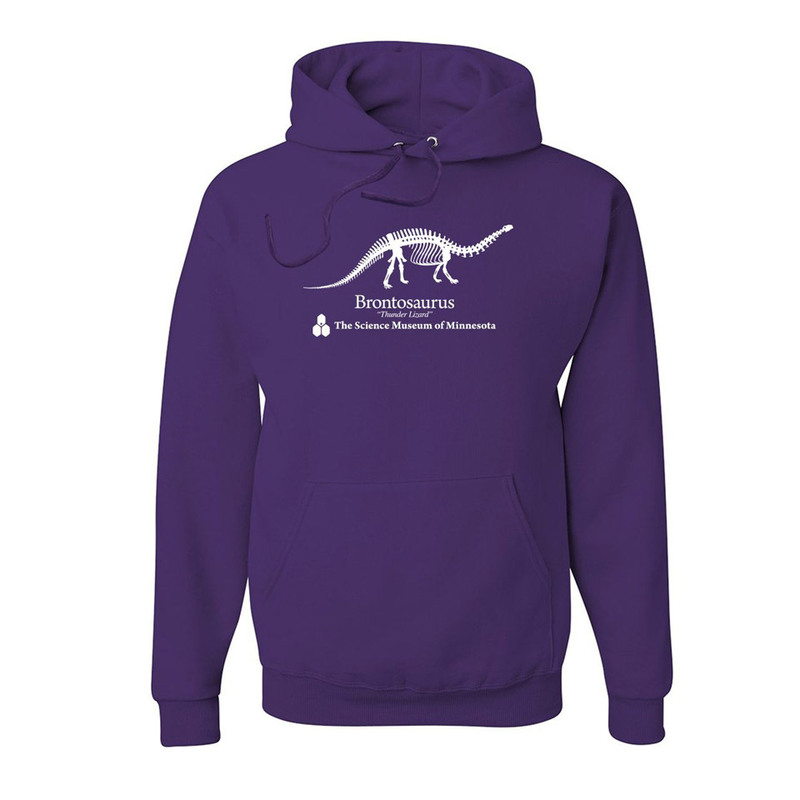 That’s a real museum, and they have the real hoodie. Proceeds go to SMM’s educational outreach programs.